We offer environment specific courses in jungle training, desert safety, polar and mountain skills. These courses teach you more about these amazing environments in order to appreciate them and stay safe. Our environment specific courses deal with practical skills, day to day safety issues and look at working with groups in these environments. We run courses specific to jungle training, desert safety, Polar, Savannah and Mountain environments. Courses can be tailored to the needs of your trip. They will give you the day to day skills to make the most of your time there - to stay safe, look after yourself and others and enjoy a successful trip. They can also give you greater appreciation of the environments, their ecology and the environmental issues facing it. They will answer those all important questions like what are the latest snake bite protocols? How exactly do you get a leech off? How do I stay hydrated in the desert? 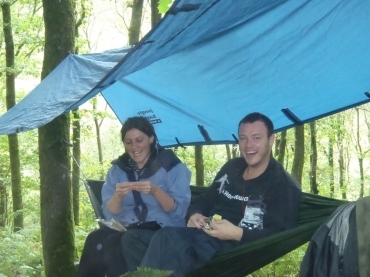 Provide top tips for wild camping in the mountains or travelling safely in the African savannah. •Leaders or instructors who want to lead expeditions in new environments. •Staff members taken to new and challenging environments by their work. •Leaders who want to benchmark current best practice. •Teachers going on expeditions to new destinations who want to feel informed and confident. •Researchers or adventure travellers planning to travel in the rain forest. •Anyone who would like to understand and appreciate more about this environment.